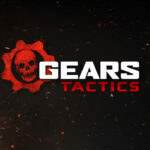 Gears Tactics. A turn-based tactics game for PC – sets in Gears of war universe. A new turn-based tactics game sets in Gears of War universe. Developed by The Coalition. It will be a story-driven turn-based tactics game with covers systems and battles with big bosses. We still have few informations for now. Below an IGN video from E3. Share news with us about turn-based games and join our Steam group.